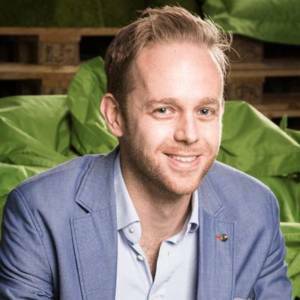 We spoke to Steven Renwick, who is the Founder & CEO of Satago – an innovative fintech business that helps small and medium sized businesses accelerate their cash flow through flexible, confidential single invoice finance, provided through free credit control software. Before starting Satago, Steven was Director of Global Projects at Rocket Internet where he helped launch dozens of companies around the world. His interest in SME finance and credit control stems from experience with his family business in the construction industry in Scotland. Steven has a MBA from the University of Oxford and a PhD from UCL. Given the ABFA’s recent statistic on the growth of invoice finance to £20.7bn in H1 2016, why is invoice finance becoming such a popular choice for SMEs? Probably the main reason is the reduction in the availability of overdrafts for SMEs. It used to be that a small business could rely on its bank to provide a flexible overdraft if cash flow became tight, but since the financial crisis banks have been severely restricting access to overdrafts. Invoice finance plugs this gap nicely – giving SMEs flexible access to short-term finance when they need it, on terms that are often better than overdrafts anyway. 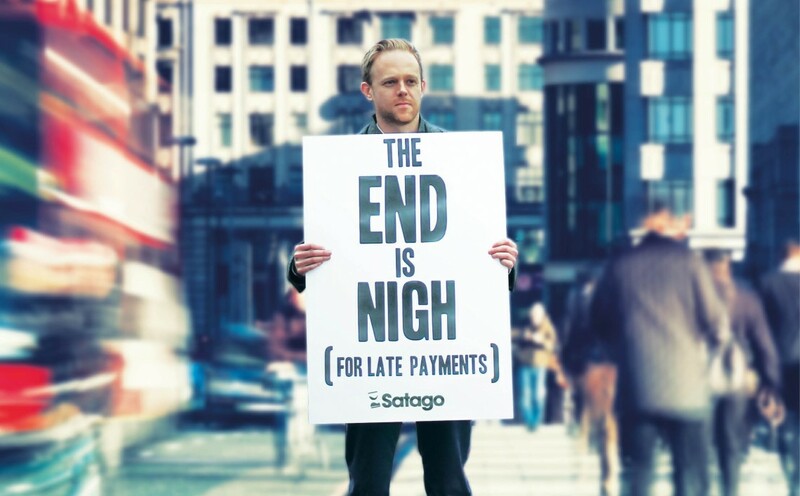 How long do businesses need to wait (typically) for invoice finance, and how does Satago help this? If you apply for a invoice finance facility with a bank, the process will typically take weeks, the facility is inflexible, expensive, and requires you to finance all your invoices. Satago allows businesses to apply for and receive finance against their invoices on the same day. The main difference is that we finance individual invoices, making it much more flexible and overall cheaper since you only pay for what you use. We pre-approve the finance against all of your eligible invoices so you don’t need to submit individual invoices to us – you just pick and choose from the invoices we have already pre-approved. What kind of businesses do Satago work for and how does the solution help? 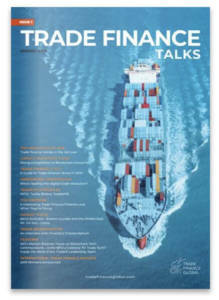 We will finance any UK business that raises invoices on trade terms to other UK businesses. The only real restriction is that you need to use accounting software that our invoice finance software supports – we support most software used by UK companies, including Xero, Sage, Quickbooks, Kashflow, Freeagent, and many others (both online “cloud” software and “on-premise”). We have everything from recruitment agencies to building supplies companies using Satago, and the size of company does not matter – our smallest users have turnover ~£50k and the largest is probably about £20 Million. You recently raised £4.6m from ESF Capital, what will it be used for and what are your medium term plans? £3M of the investment was our credit line – the money that we use to finance UK SMEs. 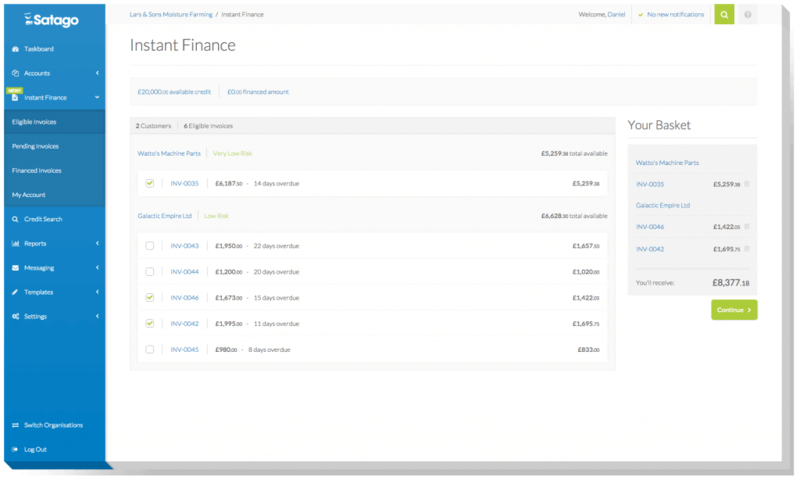 We are now able to finance up to £500,000 per client, but thanks to the nature of our invoice finance software, we are able to finance individual invoices as small as £500, which means many of our smallest clients are only financing a handful of small invoices at a time. The rest of the investment – £1.6M – is to finance our operations, which is primarily to build our sales and marketing team over the next year. Until now most of our client acquisition has been organic and referrals. Is the future of invoice finance automated cloud powered services for businesses? Undoubtedly – it’s only thanks to the power and scalability of our software that we are able to automatically finance hundreds of invoices per day. Thanks to the online network we have build between suppliers and customers, which connects hundreds of thousands of organisations already, we are building insights to allow us to finance the type of SMEs that the mainstream banking sector would prefer to ignore.